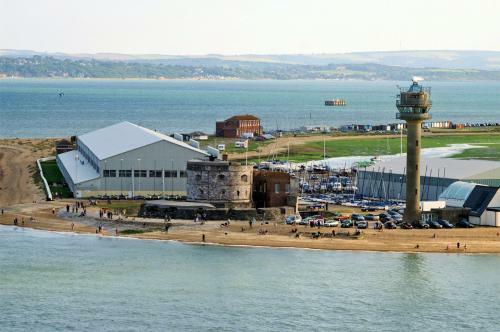 The station was originally established on 29 March 1913 by the Royal Flying Corps (RFC), as Calshot Naval Air Station, for the purpose of testing seaplanes for the RFC Naval wing. 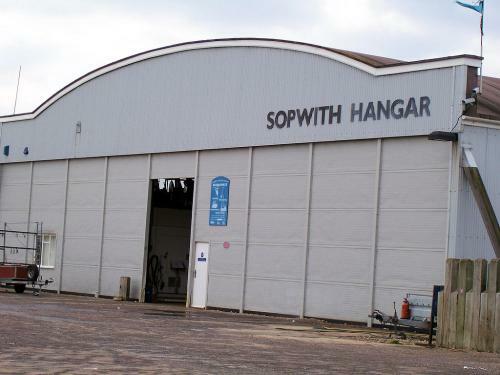 The first aircraft to arrive was a Sopwith Bat-Boat, and one of the first buildings constructed - the Sopwith Hangar - is still in use today. In July 1914 the Royal Navy reformed its air branch, naming it the Royal Naval Air Service (RNAS), and took over the base and its development and training functions. After the start of World War I, the station's role expanded to take on the protection of shipping in the English Channel, and a variety of flying-boats and seaplanes were introduced, including the Wight Seaplane and the Short 184. 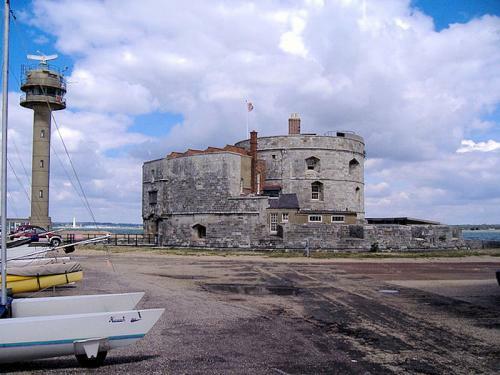 Calshot was also used for training on observer kite balloons and airships. A major rebuild took place in 1917 when new buildings, offices and workshops were constructed by the Henry Boot Company. The largest hangar - Sunderland Hangar - is now home to the Calshot Activities Centre. By 1918 there were two flights of Felixstowe flying boats and a flight of seaplanes, and together they managed to exceed 9,000 hours of patrol flights in a three month period. Out of 42 U-boats reported, 3 were sunk. On 1 April 1918 the RFC and the RNAS combined to form the Royal Air Force (RAF) and the station became home to the headquarters of No. 10 Group RAF. 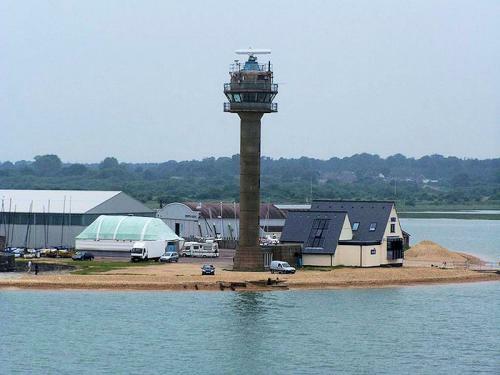 The three flights that were based at Calshot became No. 240 Squadron RAF. 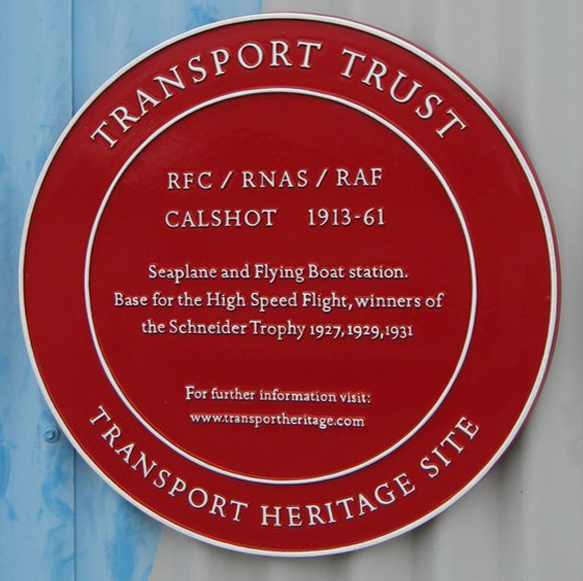 After the war, the station became home to the RAF School of Naval Co-operation and Aerial Navigation and on 5 February 1922 was renamed RAF Base Calshot. 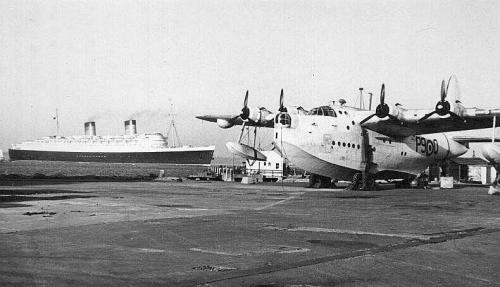 During this time, Calshot also housed a reconnaissance flight (with Felixstowe flying boats), and a large part of the unit was designated for the training of motorboat crews and other marine craft; the boats mainly used for towing disabled aircraft, collecting bombs from practice runs, and for towing gunnery target boats. On March 24, 1924, three serving members of the RAF took off from Calshot in a Vickers Vulture amphibious bi-plane on a planned round-the-world flight. The flight was beset by bad weather and several mishaps, including a crash in Akyab Harbour, Burma (requiring a replacement aircraft); and eventually a forced sea landing near Bering Island ended the attempt. Calshot also became home for the High Speed Flight as it prepared for the Schneider Trophy competitions in 1927, 1929 and finally 1931. The 1927 competition was held in Venice and won for Britain by the Calshot team in a Supermarine S.5, giving Britain the right to host the race in 1929. Calshot was chosen as the venue and an updated S.5 aircraft covered the seven laps at an average speed of 328.63mph to take the prize. Two years later, again at Calshot, a Supermarine S.6B won the race for Britain for the third time in a row to retain the Trophy outright. "Aircraftsman Shaw", also known as T. E. Lawrence, or Lawrence of Arabia, was detached to Calshot to help with the 1929 Schneider races. He was seconded to the nearby British Power Boat Company factory at Hythe, and worked closely with the owner, Hubert Scott-Paine, in the development of the 200 Class Seaplane Tender, a 37½ foot vessel capable of 27 knots. Deliveries commenced in 1932, and at the time it was claimed to be the fastest craft of their size in the world. Through the 1930s, Calshot continued its development and training role, and just before the outbreak of World War II, Calshot became primarily responsible for the repair, maintenance and modification of RAF flying boats, concentrating on the maintenance of Short Sunderlands. The station also continued to provide marine craft maintenance, and to train boat crews. Operational squadrons returned to Calshot in March 1946, when No 201 Squadron arrived, to be followed a month later by No 230 Squadron, both equipped with Sunderlands. During the Berlin crisis of 1948, all the Sunderland aircraft from Calshot were called into action and flew over 1,000 sorties to the Berlin lakes from Hamburg carrying food into the city and evacuating sick children. On their return from Berlin, both squadrons were transferred to Pembroke. After this, although some flying continued, the station was primarily a marine craft station, providing ASR, target-towing and range safety launches, and also included No 238 Maintenance Unit, responsible for the servicing of all RAF marine craft. Two unfinished Saunders-Roe Princess flying boats, designed to carry 100 passengers and have a range of 5000 miles, were cocooned at RAF Calshot near the island hanger, during the 1950s and 1960s, before being scrapped. On 1 April 1961, the RAF base finally closed. In 1964, Hampshire County Council negotiated a lease with the Crown Estates to use the site as an Activities Centre. The first course - a sailing one for Hampshire children - commenced on 18 May 1964. On 25 July 1970 the RNLI sent the Nelson class "Ernest William and Elizabeth Ellen Hinde" lifeboat to Calshot for evaluation, and in 1971 a permanent station was established. In 1981, a Short Sandringham flying boat, called 'The Southern Cross', landed at Calshot after an epic journey across the Atlantic Ocean. This plane is now housed in the Hall of Aviation, in Southampton. The last flying Sunderland, 'Excalibur', came ashore at Calshot in 1984. After an extensive refit, it was flown to Florida in 1994 to join the extensive collection of Kermit Weeks. 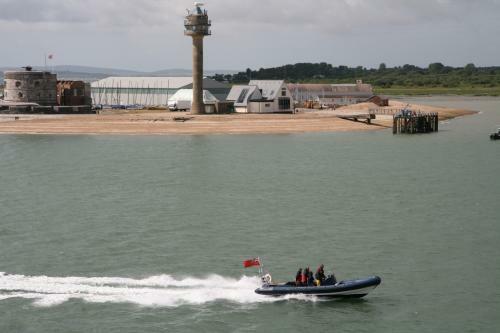 The site is now used as a base for the RNLI and for HM Coastguard, as well as for the Calshot Activities Centre, which runs courses in a number of water and land-based activities, and uses the original hangars to house indoor climbing walls, artificial ski slopes and a cycle track. Eden, Paul, ed. The Encyclopedia of Aircraft of WW II.